Depending on your humor level you are going to find these funny or totally gross. Throw a few of these on the grill at your next BBQ. They will certainly start the conversation! Most people will want your recipe. Editors Note: Rob gave us a challenge on this one. Some inspirational photos and some vague cooking instructions. But we couldn’t pass this up. What a creative presentation. Our mixture for the patties follows. 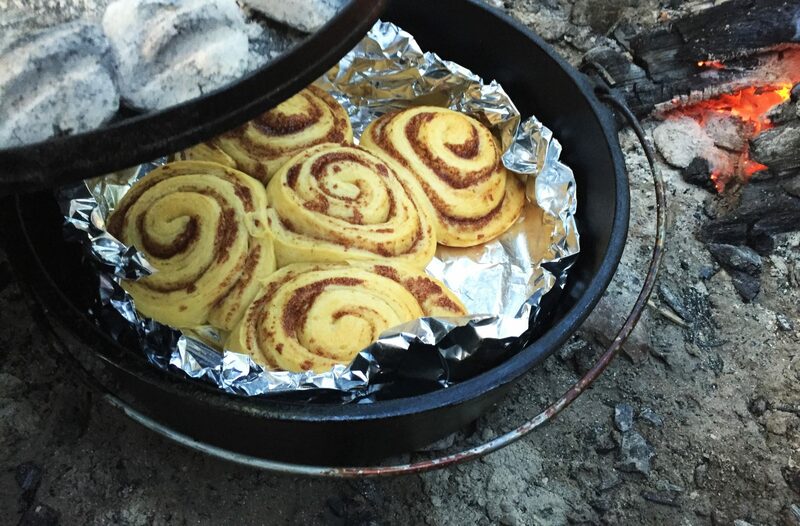 We also experimented by cooking these on the BBQ Grill, in a Dutch Oven, and also using the regular kitchen oven. We will explain the varying techniques. The BBQ produced the best flavor. The Dutch Oven and Kitchen Oven produce similar results coming in real close to the BBQ. 4 “Turtles” but serves 8-12. 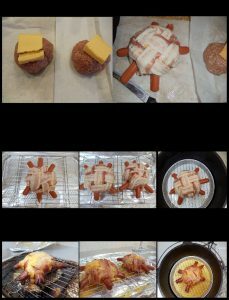 Mix together all ingredients but the Bacon, Hot Dogs, Cheese & Buns. Divide the seasoned meat mixture into 4 equal parts, forming rather large looking meat balls. Place one of the cheese slices on the top and mash down with open palm of hand to partially flattened. Basket weave the bacon strips over the top (3 one direction, and 3 the other) covering the cheese and tucking or folding the bacon under the bottom. Cut the 12 hot dogs in half making 24 pieces. 4 of these cut one end several times at an angle to form a point (the tails), with 4 of them cut a slit 3/4 of an inch deep across the round end (the heads) 16 of them cut 3 slits 3/4 inch deep across the round end (the legs). Push the flat end of the hot dogs into the patties between the bacon at appropriate places. The mouth slit positioned horizontally. The legs positioned with the slits positioned vertically. These open and spread out during cooking creating a mouth and toes. Kitchen Oven at 400, wire rack on cookie sheet, cover patties with foil and bake 45 minutes. Remove foil and low broil for 10 minutes. BBQ preheat high, foil lined cookie sheet with patties on wire rack, foil top cover patties, lower heat, close BBQ Cover, keep at 400. Cook 45 minutes. Dutch Oven, Patties on wire rack in DO, 400 mostly top heat with Lid on, No Foil Cover on patties, Check at 45, Done at 55-60 depending on heat. We use a wire rack and a pie tin to catch the drippings.